When you mix large amounts of goodies and extra calories with time off from school, when kids tend to indulge in sedentary activities, like watching TV and video games, you get holiday weight gain. Bailey offers parents tips on how to help their kids enjoy the festivities without packing on the unwanted pounds. Downsize portions. The more food that is served on your child’s plate, the more he’ll tend to eat. Keep the portions small. If he’s still hungry, he can always go back for seconds. Also, make sure your child is getting a good balance of food groups and monitor the portions of each. Bailey suggests parents follow the MyPlate method to make sure kids are getting the right variety of food groups. The goal is to make half of the plate fruits and vegetables, so that way you’re already controlling the amount of grains and proteins on the plate. Control the risk for temptation. Though admittedly difficult during the holidays, try not to stock the home full of sweet treats and sugary drinks. Though there will be some of these in the house, keep them out of reach and put away in the pantry. Out of site, out of mind. Put within reach fresh fruit and veggies washed and cut up, all ready to grab and go. Plus, this time of year, there are lots of ways you can get creative to make these options more appealing. Use cookie cutters or art on a plate to create snowmen out of grapes or cantaloupe Christmas trees. Start with a healthy breakfast. 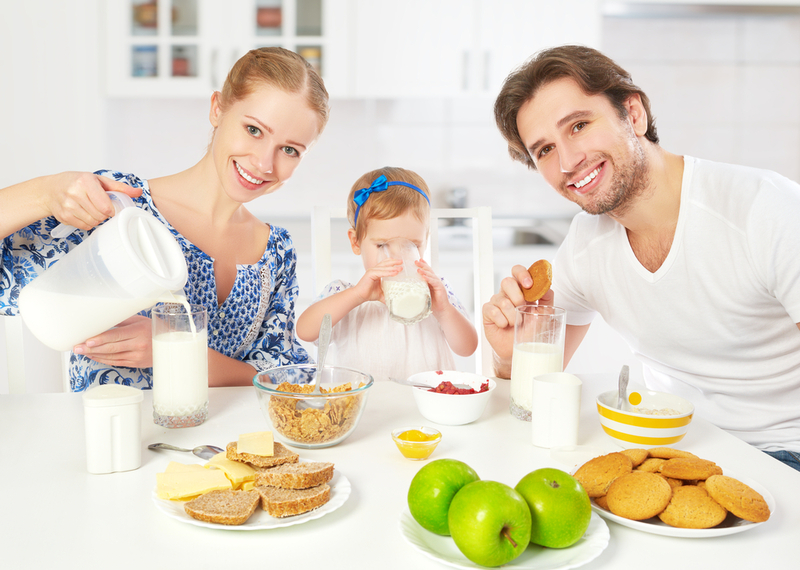 Research shows kids who start out with a healthy breakfast are less likely to eat more calories throughout the day. Even if the big holiday meal is at noon, eating breakfast will help kids so they don’t overeat. “For a child that has been sleeping for 10 or 12 hours, a healthy breakfast breaks that fast and it jumpstarts the metabolism,” said Bailey. Use healthy substitutes in holiday baking. A favorite holiday pastime is baking together as a family. You can get creative with the ingredients and substitute healthier options to cut down on calories. For example, a recipe that calls for oil, you can use unsweetened applesauce instead to make a moist cookie. Or, for recipes that use flour, substitute half of the called amount with whole wheat flour to get an extra serving of whole grains. Include more protein and fiber in their diet. Protein and fiber are a powerful combination. 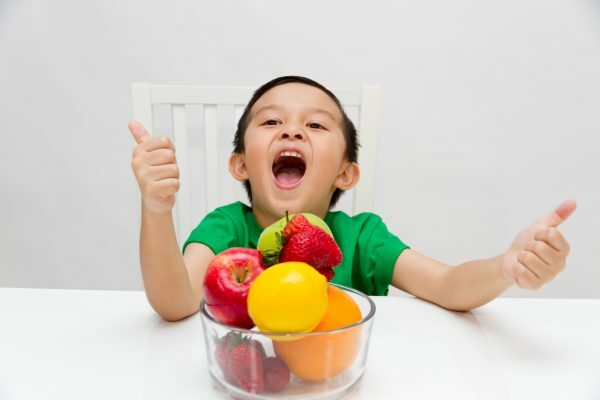 Proteins, including lean meats, low-fat dairy, beans and nuts, and fiber-rich foods, such as fruits and veggies, help kids feel fuller longer since they take longer to break down than say carbohydrates. Get kids moving. In the wintertime, send your kids outdoors to get them off the couch and away from the video games. Sled riding, hiking or ice skating are great ways to get kids moving, while still having fun. But if it’s too cold or just better to stay indoors, Bailey recommends SWORKIT Kids, a free app that’s designed to make moving fun. The app guides kids through fun exercise routines demonstrated by kids themselves. Drink plenty of water. Kids who are actually thirsty or dehydrated may mistakenly take that for a feeling of hunger. If kids get enough fluids the false hunger cues won’t occur and it can help prevent them from overeating at the holiday table.